Meteosat-7, EUMETSAT's oldest operational meteorological satellite, tomorrow begins its final journey to the great graveyard orbit in the sky. After almost 20 years of service – a remarkable feat, given its expected lifetime of five years – a series of manoeuvres will be carried out to take the satellite out of its current geostationary orbit, 36,000km above the Earth, to its new and final resting place. So, what is the "graveyard orbit," why do we need one and how will Meteosat-7 get there? Today, thousands of satellites fly on various types of orbits around the Earth. As satellites have a limited lifespan, care must be taken to ensure that spacecraft that are no longer operational and able to be controlled from Earth pose no risk to others sharing the same space. Low-Earth-orbiting satellites – like EUMETSAT's Metop spacecraft, which orbit the planet at an altitude of 817km on a path that takes them over the poles – are today required to reserve enough fuel at the end of their service to enable operators to manoeuvre them to a lower orbit which will cause them to re-enter and burn up in the Earth's atmosphere within 25 years. However, as EUMETSAT Flight Dynamics Engineer Milan Klinc explained, this is an impossible end-of-life scenario for geostationary satellites, like Meteosat-7 and the more modern Meteosat Second Generation Satellites (MSG), orbiting the Earth at an altitude of 36,000km. "No satellites can make it back into the Earth's atmosphere from there," Klinc said. "It would require the satellite to carry too much propellant – it would be too heavy. "The best they can do is to clearly increase the satellite's altitude." The "graveyard orbit" is not an actual orbit but, rather, a region, where old satellites will not pose a threat to those still in service. This protected region has been set at geostationary altitude (36,000km) plus 200km, Klinc explained. Initially, this solution was reached by agreement between various space agencies. However, it became more formal through a recommendation by the Inter-Agency Space Debris Coordinating Committee (IADC), which is an international, governmental forum coordinating activities related to the issues of man-made and natural space debris. Now, there is an International Organisation for Standardisation (ISO) standard relating to space debris mitigation that must be followed. "You must target, with 90 percent probability, that you will clear this 200km plus region," Klinc said. "We will most probably reach 500km to 600km above the geostationary protected region with Meteosat-7." Once the satellite has reached a safe distance from the geostationary protected region, preventive measures will be taken to minimise the potential for the satellite to break up in the future. These measures include: depleting as much as possible all residual propellant and pressurising gas still contained in the tank system, discharging and disconnecting the batteries, firing redundant pyrotechnic devices and switching off nearly all the equipment on board. To reach this graveyard orbit, Meteosat-7 will undergo a series of "burn manoeuvres," every half an orbit, to increase its altitude in stages. "We have designed it so that after burn number three, we will have cleared the protected region," Klinc says. "We have allowed a margin for uncertainties and will keep manoeuvring higher up, with up to nine burn manoeuvres." Meteosat-7 is a spinning satellite, revolving 100 times per minute. 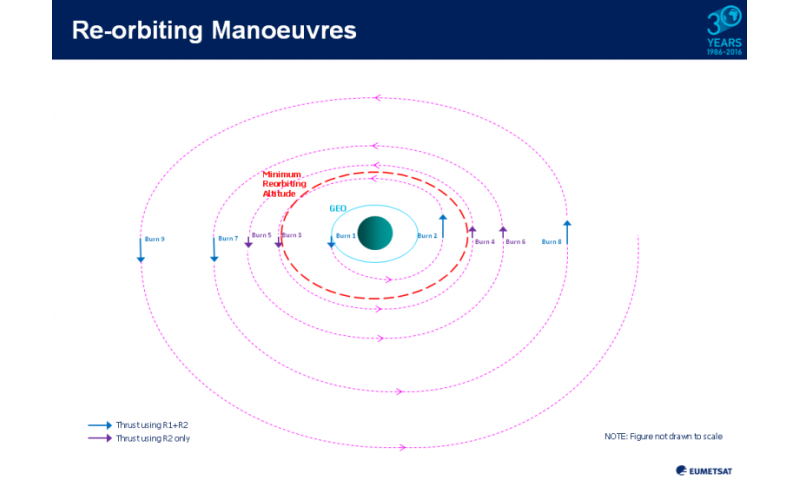 At the same time as it is being re-orbited, the satellite will be reducing its spin rate, by carefully selecting which thruster to use in the orbital manoeuvres. Klinc is credited with having proposed this technique for the first time for Meteosat satellites. It was used successfully with Meteosat-5, which was retired to the graveyard orbit in 2007, and Meteosat-6, in 2011. In both cases, a significant reduction of the final satellite spin rate was achieved without any additional cost of fuel. 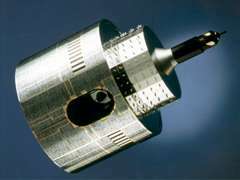 This is necessary to reduce the centrifugal loads on the satellite structure and ensure that if, for example, after 100 years in the graveyard orbit, a piece of the satellite were to break away, it would not be propelled back into the protected geostationary region by the spacecraft's spinning. So the "graveyard orbit" is not really an orbit and the term is potentially misleading in another respect too. One day, it may well prove not to be the final resting place for old satellites, Klinc said. The number of satellites in the graveyard orbit is probably already in the hundreds and, with more new spacecraft launched each year, this region could also become too crowded. "Space debris is a major problem," Klinc said. "We recognise that the graveyard orbit can only be a temporary solution. "We are only in the early, theoretical stages at the moment but we need to look at a permanent solution involving removing or collecting the old satellites." The Meteosat programme was recognised as a major European success in the Space Strategy for Europe approved by the EC in October 2016. The first generation Meteosat satellites had an expected lifetime of five years. The fact that Meteosat-7 continued to provide data and imagery which helps saves lives and property and prevent economic loss for almost 20 years is testament to robust design and prudent flight operations. 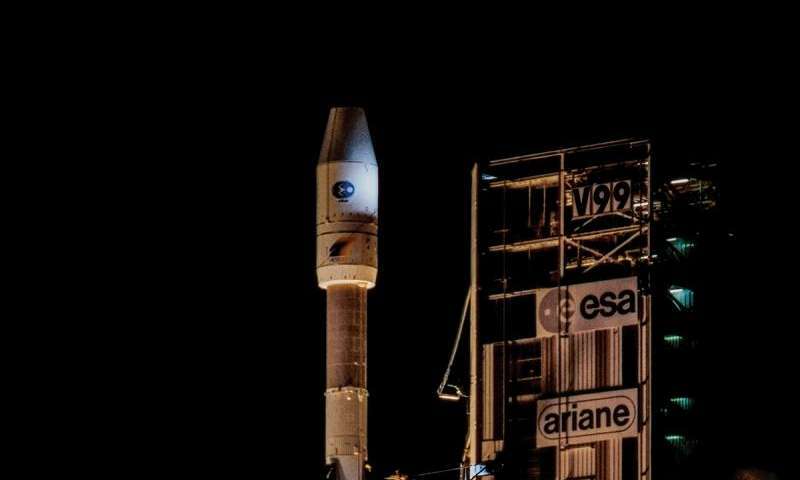 Meteosat-7 is being decommissioned and switched off, putting an end to a very successful mission. 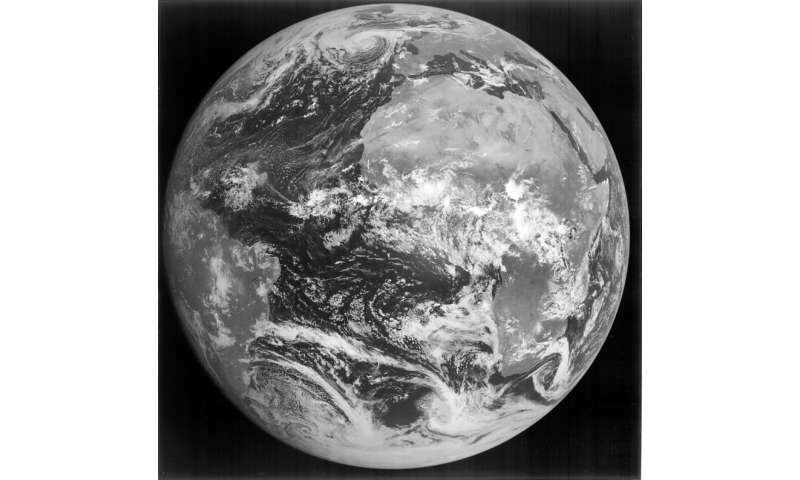 Being the last of the first generation series, this will also mark the end of the 40-year-long history of what was the first European meteorological satellite system in geosynchronous orbit. Meteosat-8, EUMETSAT's first MSG satellite, was last year moved to 41.5°E to take over from Meteosat-7, providing IODC coverage in a multi-partner arrangement with Indian, Chinese and Japanese geostationary satellites.